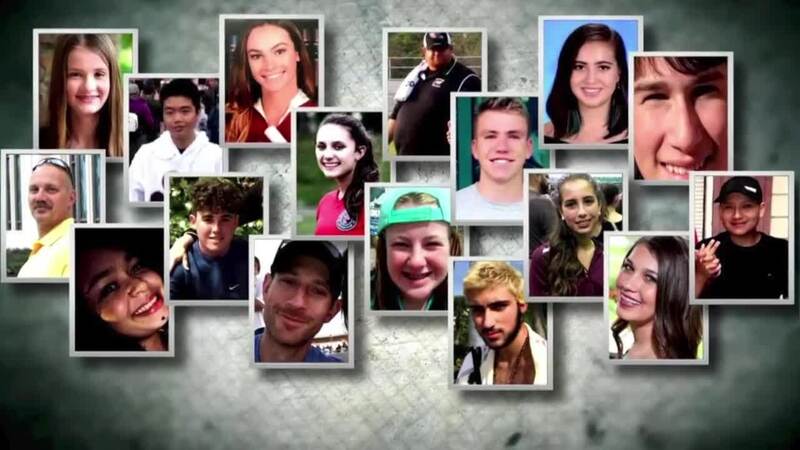 Grief is now weaved into the daily lives of families who lost their loved ones on Feb. 14, 2018 in a mass shooting at Marjory Stoneman Douglas High School in Parkland. PARKLAND, Fla. — Grief is now weaved into the daily lives of families who lost their loved ones on Feb. 14, 2018 in a mass shooting at Marjory Stoneman Douglas High School in Parkland. "It’s still hard to come to grips with," Fred Guttenberg said. 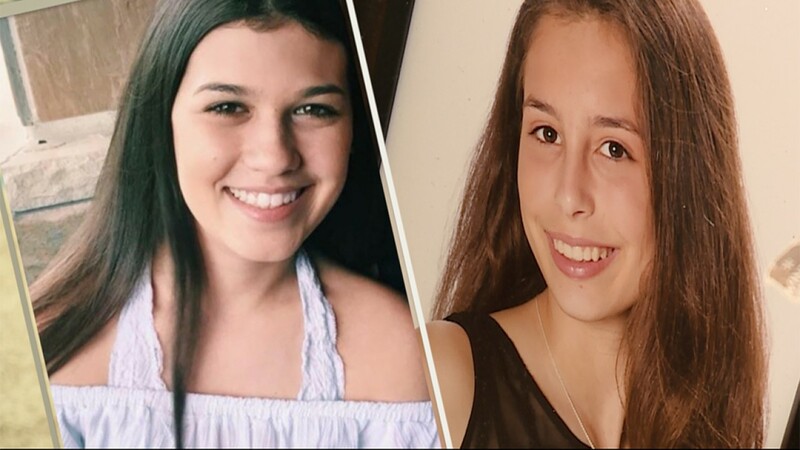 The grief started last Valentine's Day and it’ll never end for Guttenberg, whose 14-year-old daughter, Jaime, died in the shooting. "I sent my children to school. I sent my kids to school on Valentine’s Day," Guttenberg said. "Gotta get out the door. Gotta go to school. Go to school. Sent them out the door. Never in a million years as a parent do you think your kid is not coming home." Guttenberg had planned to celebrate the day of love last year by showing his daughter and son their parents' wedding video. "Yeah, I did have a plan for Valentine’s Day and a brutal killer disrupted it," Guttenberg said. Instead, Guttenberg ended up telling his wife, while pulled over on the side of the Sawgrass Expressway, their daughter would never come home from school. "Jaime’s going to be my forever 14-year-old daughter," Guttenberg said. Now, one year later, there’s a single image burned into Guttenberg’s mind. "Of her running down that hallway and knowing there’s a shooter with an AR-15 at her back. In my head, it’s always there," Guttenberg said. Jaime was his only daughter. "She had a smile and a laugh, and gosh, I miss it." Guttenberg added he especially misses seeing Jaime's smile on stage at dance recitals and competitions. "It was not just something that she enjoyed doing. It was her life. Jaime lived to dance," Guttenberg said. He lived for his daughter, who should've been in tenth grade this year. "I don’t know how or when this gets easier. People will say just, I don't think it does. I think that’s a fake statement by people who don’t understand what it’s like to lose a child." Tony and Jennifer Montalto understand. They lost their 14-year-old daughter, Gina, that same day. "Everything we look at around our home, even around town, we see her ready to move on to the next adventure," Tony Montalto said. "So it’s hard to believe that she’s no longer with us." Gina should’ve been a sophomore by now, practicing with Color Guard after school and fine tuning her skills at the easel, one of her favorite hobbies. "She was proud to show off her creations," Jennifer Montalto said. What Gina wanted most from her art was for other people to enjoy it, too, which happened when she was named Artist of the Month at Parkland Library in January. “It means a lot that they honored her that way," Jennifer Montalto said. Every day, the Montaltos, the Guttenbergs, and the other 15 families tied together by tragedy are working to honor their loved ones. All 17 families formed Stand With Parkland: The National Association of Families for Safe Schools to push for school safety enhancements, mental health screenings, and support programs and responsible gun ownership. "We realized early on that when we spoke together with one voice, we had the most effect," Tony Montalto said. Some families have started their own initiatives as well, such as Change The Ref, Make Schools Safe, Safe Schools for Alex, and Meadow's Movement. Guttenberg founded Orange Ribbons For Jaime. Jaime's dance teammates handed out orange ribbons soon after her death because orange was her favorite color. Guttenberg learned it's also the color of gun violence awareness. Orange ribbons have since been worn around the country, including in Broadway shows, in honor of Jaime and other gun violence victims. "I just decided, I belong in this fight," Guttenberg said. The Montaltos started the Gina Rose Montalto Memorial Foundation to honor Gina’s legacy and support higher education. "She is present every day," Tony Montalto said. Whether it’s 17 people, or one person, taken by gun violence, for their grieving families, it’s always too many. "Thoughts are prayers, while they are always welcome, aren't going to make anyone safer," Tony Montalto said. "It's action." "She I know would expect me to do what I’m doing right now because she would’ve done it," Guttenberg said.